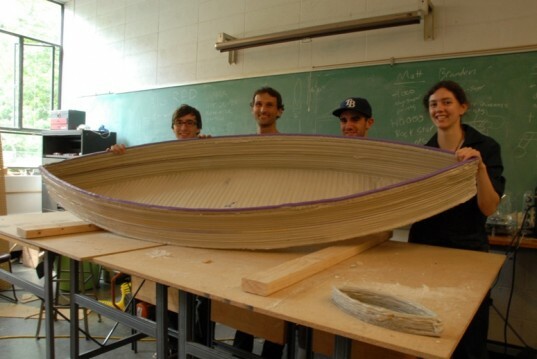 University of Washington Students Race The World's First 3D-Printed Boat! 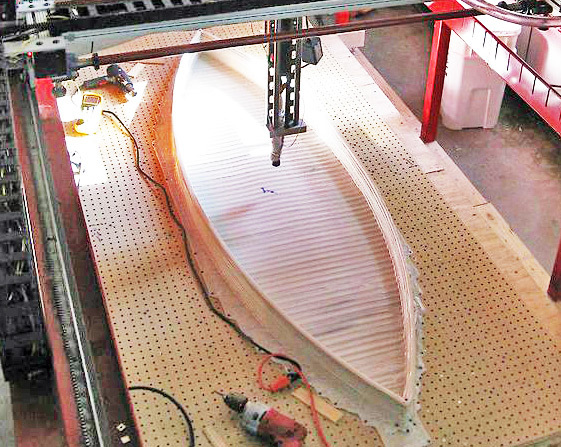 University of Washington Students Race The World’s First 3D-Printed Boat! Student members of the University of Washington Fabbers, the UW’s 3-D printing student club, have created the world’s first boat via a 3-D printer and they entered it in Seattle’s annual Milk Carton Derby. The 7-foot boat was made from recycled, melted and extruded milk cartons that the students collected and then ran through a large, custom-designed 3-D printer in the UW’s Mechanical Engineering Building. It was a first for the annual Milk Carton Derby at Green Lake in Seattle, but the students made it to the finish line without incident. The new UW student club, Washington Open Object Fabricators (or WOOF), built the boat as its inaugural project. They spent the last two months researching, engineering, extruding, printing, and dumpster diving for the greater good, and eventually produced a 40 lbs (~250 1 gallon milk jugs) “canoeyak” capable of supporting 150lbs. The club aimed to be the first to print a seaworthy craft, but the judges of the Derby weren’t sure what to make of their creation. Qualification was a problem as the engineers had used recycled milk cartons for its buoyancy, but not quite in the way that contest organizers had originally envisioned. It was eventually decided that the boat should be entered as “an unofficial entry in the adult open category” — it placed second in the race. As you may or may not know, 3D printing is becoming increasing popular in industry with machinery parts being printed at lower costs. While the printers can be expensive, the UW club have said they will continue to print using recycled materials and developing low-cost 3-D printing techniques. Student members of the University of Washington Fabbers, the UW's 3-D printing student club, have created the world's first boat via a 3-D printer and they entered it in Seattle's annual Milk Carton Derby. The 7-foot boat was made from recycled, melted and extruded milk cartons that the students collected and then ran through a large, custom-designed 3-D printer in the UW's Mechanical Engineering Building. It was a first for the annual Milk Carton Derby at Green Lake in Seattle, but the students made it to the finish line without incident.